TSC Michigan, a subsidiary of South Korea’s Techno Semichem, which develops components for lithium-ion batteries for electric vehicles, cut the ribbon Wednesday for new U.S. headquarters in Northville Township near Detroit. The plant is expected to create 279 new direct jobs over five years and 1,394 indirect ones. It was another case of tax breaks sealing the deal, as part of Michigan Gov. Jennifer Granholm’s push to re-create the state as a center for automotive battery manufacturing. The Michigan Economic Development Corporation had awarded TSC Michigan $3.2 million in tax credits over seven years. The township of Northville also offered property tax breaks. The company plans to invest $31.1 million in the new headquarters, which will be built in a now-vacant building. Development of a new way of producing advanced electrolyte materials—key ingredients to lithium-ion batteries—will be moved from South Korea to the new Michigan site. TSC joins a number of other lithium-ion battery and components developers in Michigan as the state tries to bill itself as the center of advanced automobile battery manufacturing. Here are a few notable moves I’ve spotted lately. 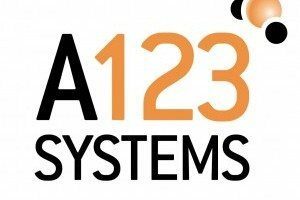 Last year, Michigan awarded A123 Systems, based in Watertown, MA., $100 million in refundable tax credits to support a new manufacturing facility in Livonia, MI. Compact Power, a Troy, MI-based subsidiary of South Korean manufacturer LG Chem, will spend $303 million to build a new lithium-ion battery plant in the west Michigan city of Holland. The companies said the plant will break ground this summer and by 2013 will employ more than 400 people. Milwaukee-based Johnson Controls is opening a plant in Holland, MI, to manufacture lithium-ion batteries. Dow Chemical is working on a lithium-ion battery plant through a joint venture with TK Advanced Battery in Midland, MI. Which new autos at the 2011 Detroit Auto Show will be represented as having lithium ion batteries constructed by TSC in Northville MI?